88th Season Begins June 11! 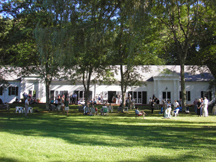 (Falls Village, CT) Music Mountain, America’s Oldest Continuing Summer Chamber Music Festival, launches its 88th Season on Sunday, June 11th with the Opening Concert & Reception featuring the incomparable pianist Peter Serkin along with Stefan Jackiw, Violin, and Jay Campbell, Cello. This remarkable summer will feature Beethoven and favorite Piano Quintets. The Chamber Music Series will also welcome Music Mountain premieres, first time guests, and returning favorites! The popular Saturday Evening Twilight Series kicks off on June 17th with an array of jazz ensembles! Concerts are scheduled through September 17th. Recognized as an artist of passion and integrity, the distinguished American pianist Peter Serkin is one of the most thoughtful and individualistic musicians appearing before the public today. Throughout his career he has successfully conveyed the essence of five centuries of repertoire and his performances with symphony orchestras, recital appearances, chamber music collaborations and recordings are respected worldwide. Mr. Serkin has performed with the world's major symphony orchestras with eminent conductors and has been instrumental in bringing the music of Schoenberg, Webern, Berg, Stravinsky, and Wolpe, among others, to audiences around the world. His numerous recordings have garnered Mr. Serkin multiple Grammy Award Nominations and other prestigious accolades. Mr. Serkin currently teaches at Bard College Conservatory of Music and the Longy School of Music. Violinist Stefan Jackiw is recognized as one of his generation’s most significant artists, captivating audiences with playing that combines poetry and purity with an impeccable technique. Mr. Jackiw has appeared as soloist with the Boston, Chicago, New York, Philadelphia, and San Francisco symphony orchestras, among others. An active recitalist and chamber musician, he has performed in numerous note-worthy festivals and concert series in the US and abroad. Mr. Jackiw is a member of Ensemble Ditto - a wildly popular Korea-based chamber music group, with a mission to introduce new audiences to the chamber music repertoire. Armed with a diverse spectrum of repertoire and eclectic musical interests, cellist Jay Campbell has been recognized for approaching both old and new works with the same probing curiosity and emotional commitment. His performances have been called “electrifying” by the New York Times, and “gentle, poignant, and deeply moving” by the Washington Post. Equally enthusiastic as a chamber musician and teacher, Campbell is a member of the JACK Quartet, a piano trio with violinist Stefan Jackiw and pianist Conrad Tao, has served on faculty at Vassar College and has been a guest at the Marlboro, Chamber Music Northwest, Moab, Heidelberger-Fruhling, Ditto, and Lincoln Center festivals. Music Mountain is located in Falls Village, Connecticut, on Music Mountain Road, where a short scenic drive will bring you to Gordon Hall atop Music Mountain. Free parking and picnic facilities are available. Chamber music concerts continue with Alexander Fiterstein, Clarinet, Michael Brown, Piano, and Nicholas Canellakis, Cello (June 18); Cassatt String Quartet with Mihae Lee, Piano (June 25); Peter Serkin & Julia Hsu Piano 4 hands (July 2); and Arianna String Quartet with Victoria Schwartzman, Piano (July 9). The Saturday Evening Twilight Series begins on Saturday, June 17th (6:30PM) with The New York Gilbert & Sullivan Players! The series continues with The New Black Eagle Jazz Band (June 24); Swingtime Big Band (July 1); and The Peter & Will Anderson Trio (July 8). Tickets for the 88th Season Opening Concert & Reception on Sunday, June 11 (3PM) are $75. Specially Priced Concerts are as Follows: Tickets to the Sunday, July 2 (3PM) Piano 4 Hands Concert with Peter Serkin & Julia Hsu are $60. Tickets for the Labor Day Benefit Concert & Reception on Sunday, September 3 (3PM) with The Shanghai String Quartet, guest artist Qing Jiang, piano, are $75. Tickets for the closing concert on Sunday, September 17 (3PM) with The Juilliard String Quartet are $60. Chamber Music Concerts are $35 Twilight Series Concerts are $30 Children ages 5-18 are admitted FREE for ALL CONCERTS when accompanied by a ticket holder. Saturday Twilight Concerts are at 6:30pm. Sunday afternoon Chamber Music concerts are at 3pm. 4-Pak Pre-Season Ticket Vouchers are available for $100. Discounts apply through participating organizations. For a complete summer schedule, special ticket prices, and to download a ticket order form visit www.musicmountain.org or call 860-824-7126.